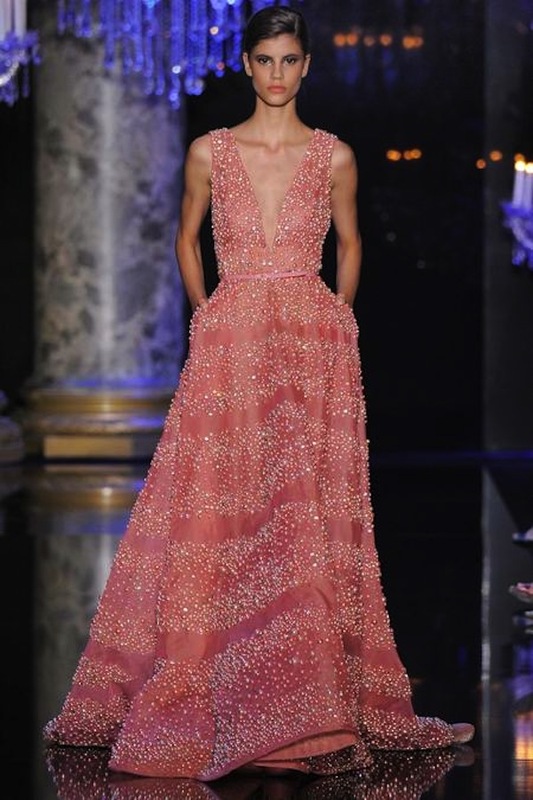 Elie Saab Haute Couture Fall 2014 | Couture Makeup Blog - Makeup Artist Serving San Diego and Orange County. 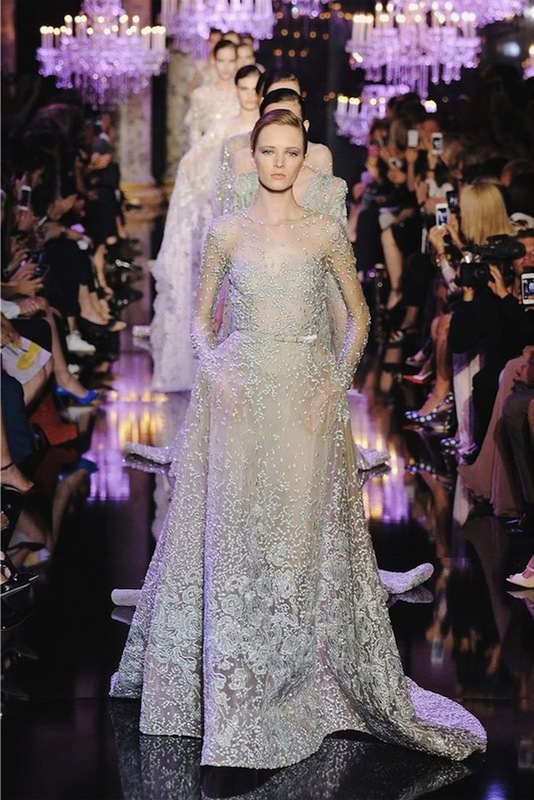 Its here again, my favorite show, the Elie Saab couture show, which never fails to enchant. 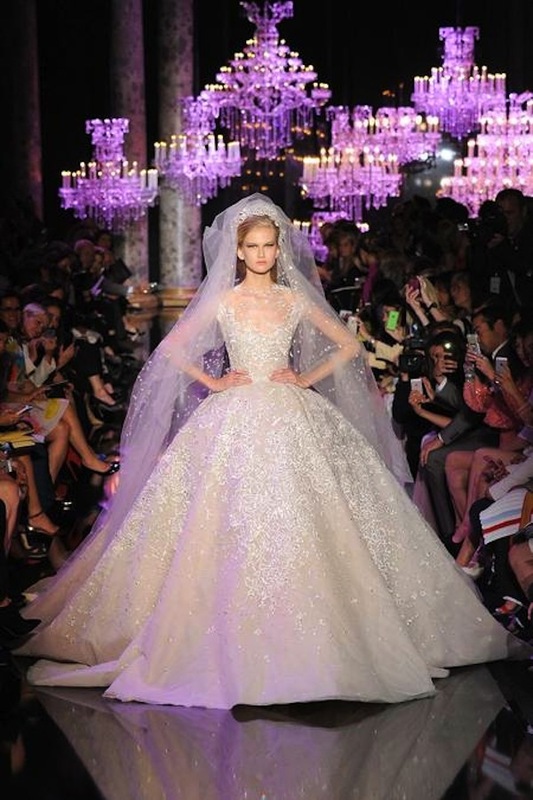 A show filled with floating, floor-sweeping gowns of chiffon and organza, strewn in sparkling beads and delicate pearls. It is, as always, a MAGICAL fairytale . . . 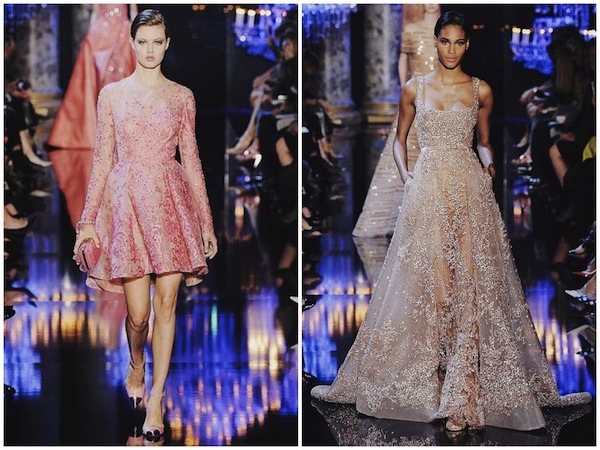 Among the fifty outfits that chinked and tinkled their way down the chandelier lined catwalk, there wasn’t one day look. Ultimately, many of these dresses are destined to be ordered in white: the painstaking attention to back details and long trains suggested that weddings are where Saab does most of his business. Back stage, models puckered their pillowy pink lips against his cheeks in congratulation while somehow simultaneously posing and looking gorgeous for the photographers’ lenses. Everyone looked very happy, like princesses straight out of a fashion fairytale.